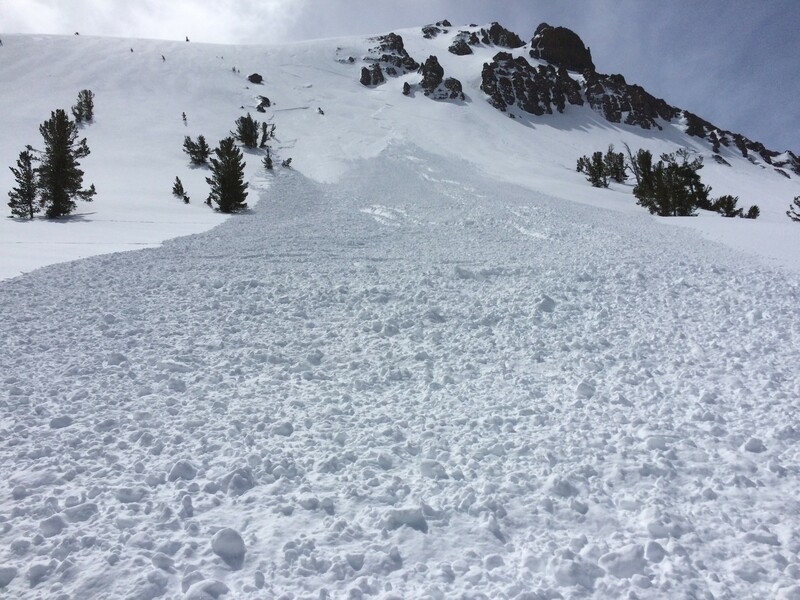 This Wind-Slab, Snowboarder triggered avalanche happened Friday early in the day. 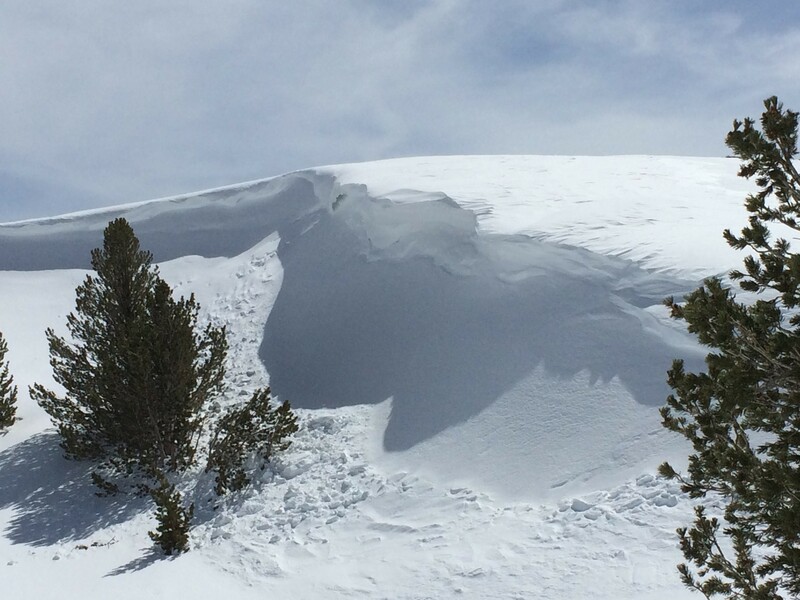 The crown of the avalanche was 6"-12" deep & involved the new wind-driven snow we got the day prior. 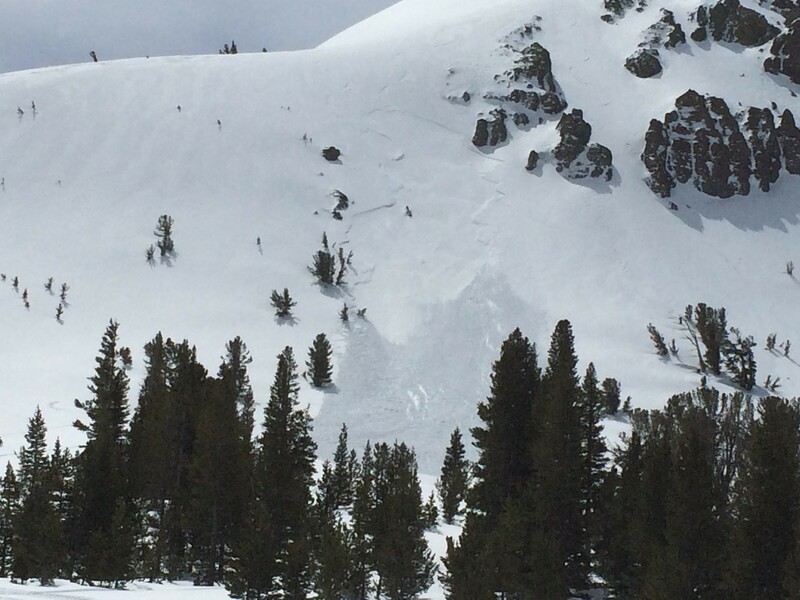 This avalanche and at least 2 other human triggered slides could be seen in the Leavitt area on North & Northwest aspects at & above treeline. A small roll-over or steepening of terrain on these leeward aspects is where snow was deposited forming the wind-slab. 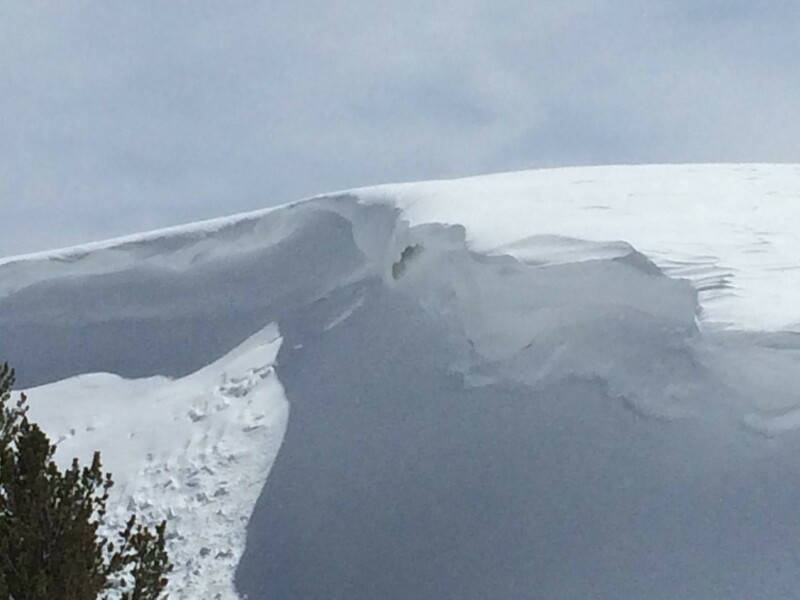 The final 2 pictures are of barrel-shaped cornice & the result of afternoon warm-up & subsequent cornice collapse. 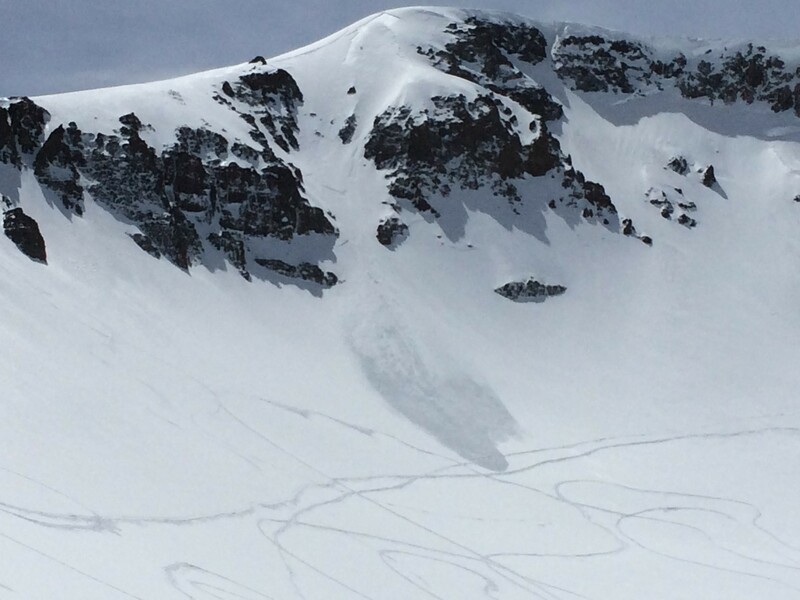 If you see or are involved with any avalanche activety please report it to me (Ryan-Snowmobile Ranger) or post an observation here. No judgements & it can be anonymous. More information is better!